5th sentence, 74th page: How could you do this to me? 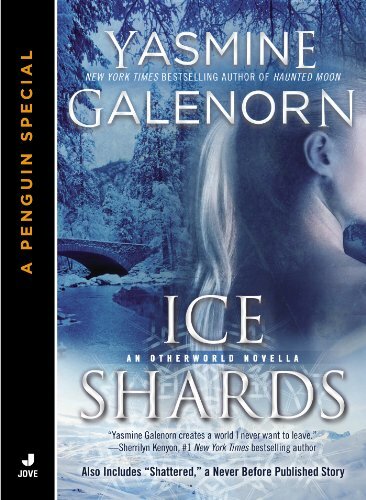 In “Ice Shards,” New York Times bestselling author Yasmine Galenorn returns to the Otherworld as Iris Kuusi, a Finnish house sprite, journeys to the frozen Northlands to confront the crazed shadow of her former lover and break the curse that is keeping her from marrying the man she loves. Many of the stories that feature that fae feature characters with some level of power, or at least the court fae. So I kind of loved the fact that this story featured a house sprite. One that is still powerful in her own right, but of a completely different stature and power than the stories which I am used to. I’m thoroughly enjoying the hexed and cursed theme throughout the Hexed collection. Yet, there was something about this curse and resurgence of the past which was even more intense and potent. Something which I thoroughly enjoyed. After all, there is nothing like a good curse and a lot of remembering into the past to help liven up a battle for justice.